This man’s faith was incredible…. The following astonishing story is 100% true. It appeared in a case study written by psychologist Bruno Klopfer and published in Psychological Variables in Human Cancer, Journal of Prospective Techniques. Dr. Klopfer had a patient named Mr. Wright who was also being treated by another doctor for advanced cancer of the lymph nodes. Standard treatments hadn’t worked. Mr Wright’s neck, armpits, chest, abdomen, and groin were filled with tumors bigger than golf balls. Then Wright heard reports of an exciting new cancer wonder-drug called Krebiozen. After an initial hesitance, Mr Wright’s doctor agreed to give him an injection of Krebiozen on a Friday…while still not expecting his patient to last through the weekend. Tumors Melted Like Snowballs on a hot stove! Amazingly…by Monday, Wright was up and moving about, clearly getting better! Dr. Klopfer reported that Wright’s tumors had “melted like snowballs on a hot stove” because they had shrunk to half their original size. Wright left the hospital 10 days after his first Krebiozen treatment. He was declared by his doctors to be cancer free. For the next eight weeks Wright stayed symptom free until…articles about Krebiozen started showing up in the news, reporting that the drug had no impact on cancer. Wright, who was a rigid, logic-driven man, took the news hard. 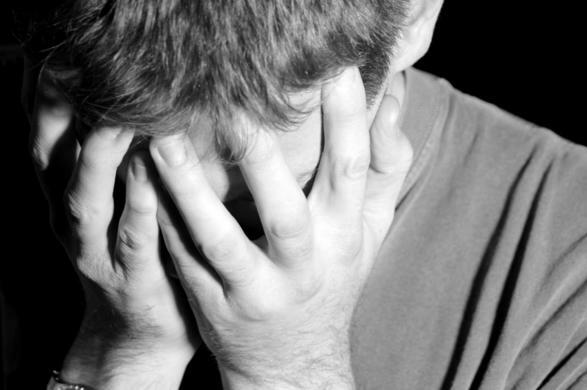 He was stricken first by depression and then his cancer came back. He was re-hospitalized, and this time his doctor tried an experiment. First, he fabricated a white lie. He told Wright that despite the negative news reports, Krebiozen was indeed effective. The only problem, the doctor explained, was that some of the drug batches had deteriorated during shipment. He told Wright that he had since received a new highly concentrated batch that he could use to treat the cancer. Wright agreed to the treatment, and his doctor injected him with plain water which he told Wright believe was the good batch of Krebiozen. Once again, tumor masses disappeared, chest fluid vanished — and Wright was back on his feet and symptom free for another 2 months. Was it the injection of plain water that got rid of the cancer yet again? Or was it Wright’s belief that he was getting the good batch of Krebiozen? Two months after his doctor injected Wright with plain water which Wright thought was Krebiozen, the American Medical Association made major headlines again with a nationwide study of Krebiozen showing the drug to be worthless for treating cancer. Wright’s belief was destroyed and…he died two days later. Mr Wright’s story is a tragic example of how beliefs — whether positive or negative — create outcomes. Your beliefs can heal you or kill you — or cause you to succeed or fail in dealing with any disease. That’s why we believe the film “Faith, Hope & Cancer” is so important. Whether you have faith in Jesus, in the universe itself, or just in your own body’s power to heal – we believe faith is absolutely crucial to healing. We’ve had incredibly positive comments from people who have watched the documentary – and we want to urge you to add the film to your movie collection. If you or a loved one is currently touched by a major disease, you owe it to yourself to check this out. The truth about most major diseases is this: they are preventable, treatable and they DO NOT have to be a death sentence. Remember – not only do you get the film and interviews to watch over, but you also get the MP3 version of the film with all Platinum orders – so you can listen in your car, while out walking – anywhere – and in doing so, strengthen and renew your faith when you need it. Motivate yourself anew. Remind yourself that you are NOT alone -and that other people have been in your position and have healed. As the story above proves – what you believe really IS crucial. 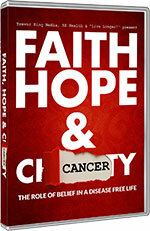 Let “Faith, Hope & Cancer” awaken new belief in you today. Andrew as you have never seen him before.